Paul Redfearn is the owner and President of The Redfearn Law Firm, P.C., founded in 1984. He devotes his practice to representing individuals who have been seriously injured or lost loved ones as a result of medical negligence, defective and dangerous products, motor vehicle/truck collisions, or dangerous conditions of property. Paul is an experienced civil trial lawyer, devoting 100% of his time to civil litigation. He successfully completed the testing and experience requirements for certification by the National Board of Trial Advocates, and currently holds a Certificate in Civil Trial Advocacy. Paul is a Fellow of the American College of Trial Lawyers. The College, composed of the best of the trial bar, is for those experienced trial lawyers who have mastered the art of advocacy and whose professional careers have been marked by the highest standards of ethical conduct, professionalism, civility and collegiality. He has also been honored by Martindale-Hubbell with its highest AV-rating for his legal ability, ethics and reputation. Paul earned membership into the Million Dollar Advocates, has been named to The Best Lawyers in America, and has been a Missouri & Kansas Super Lawyers recipient since 2005. 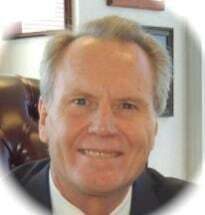 Graduating from Southwest Missouri State University in 1973, Paul received a bachelor’s degree in political science, and earned his law degree from Oklahoma City University in 1976. He was admitted to the Missouri Bar in 1977, and in 1981, he completed post-graduate training in trial practice with the National Institute of Trial Advocacy. He has earned the rank of “Advocate” with the American Board of Trial Advocates. Paul was elected as President of the Missouri Association of Trial Attorneys in 1992, having served the association since 1986. He is a Charter Member of the Western Missouri-Eastern Kansas Chapter of the American Board of Trial Advocates, and served as the President in 1996. Paul is a Sustaining Member in the American Association for Justice; member of The Public Justice Foundation, The Missouri Bar Foundation Fellow, and the Litigation Section of The American Bar Association. He serves on the National Advisory Board of the Association of Plaintiff Interstate Trucking Lawyers of America. Giving back to the community is important to The Redfearn Law Firm. Since 1994, Paul has served as Treasurer for Lawyers Encouraging Academic Performance (L.E.A.P. ), a nonprofit that promotes projects that enhance education and academic opportunity for local children living in poverty. Paul served on the Board of Governors for Southwest Missouri State University from 1998-2001, and as President from 2002-2003. The Firm supports The Star in Education Program by adopting a local classroom to receive The Kansas City Star. It proudly sponsors many mission trips and local youth and sports activities, and contributes to medical research for cancer, diabetes, heart disease and Leukemia. Continuing legal education plays a valuable role in his practice, and Paul participates in presenting the “Annual Update of Missouri Law” every year at the Missouri Association of Trial Attorneys’ Annual Convention. He has authored chapters for publication by the University of Missouri and the UMKC Law Review, as well as for The Missouri Bar. In 2008, Paul was appointed by the Supreme Court of Missouri to serve on the Appellate Practice Committee. In 2012, Paul was the recipient of the “Dean of the Bar” award by the Kansas City Metropolitan Bar Association. Paul receives many referrals from other attorneys and law firms who recognize his experience, dedication and ability to obtain justice for their clients. In 2012 and 2013, The Redfearn Law Firm, P.C. was named to the “Best Law Firms” by U.S. News.